The upcoming VR update for Super Mario Odyssey will include a theater option to watch all the cutscenes in. While not allowing you to manipulate the camera, you'll be able to get some stereoscopic 3D going for all of the story bits. I'm not sure if playing the entire game with the Labo VR kit will seamlessly transition the cutscenes to 3D, but a new theater option will render every scene with the effect. If you don't have the Labo VR kit, you can still make use of the theater option to rewatch any cutscenes you liked. 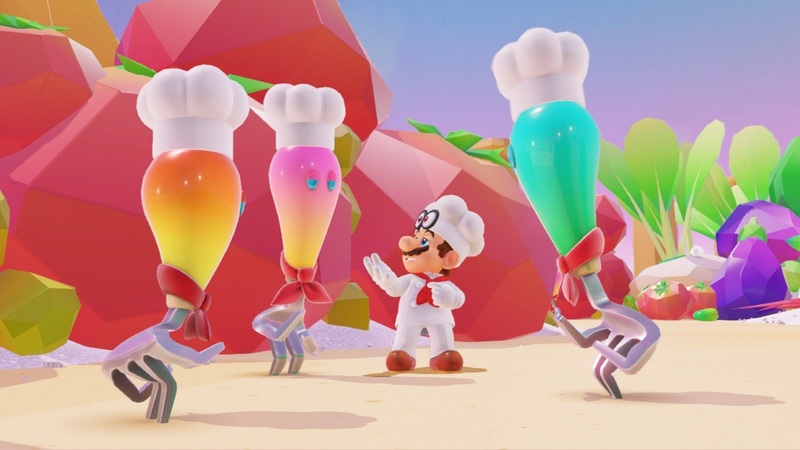 I'm honestly surprised this wasn't a thing beforehand, but it's nice of Nintendo to update Odyssey for free almost two years after release.